For more than 75 years, Rehmann has provided forward-thinking solutions to our clients. We are obsessed with client success, making it our duty to anticipate our clients’ daily and future needs, while providing them with proactive solutions to meet their goals. Our trustworthy advice, answers and guidance take the stress out of every challenge and change. We’re there when you need us. That’s The Rehmann Experience. To deliver our clients peace of mind, Rehmann deploys a progressive service model that provides client satisfaction and confidence. We offer our clients access to associates from all service lines who are committed to working collaboratively as an everyday business partner to cultivate more ideas, more service and more experience. Rehmann has grown to become one of the largest CPA, business consulting and financial services firms, with offices located throughout Michigan, Ohio and Florida. We offer a broad suite of services in the areas of tax, accounting, audit and assurance, business consulting, wealth management, outsourcing, succession planning and corporate investigative services. Additionally, through a unique combination with Trivalent Group®, a top 100 managed IT service provider, we have expanded our technology capabilities and launched a managed IT solutions practice. As a member of Nexia International, a leading worldwide network of accounting firms, we can help our clients do business around the globe. 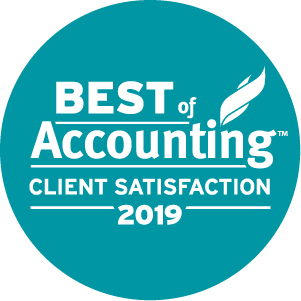 Rehmann has been named a 2019 "Best of Accounting AwardTM" winner. We are proud to be among the fewer than one percent of all accounting firms in the United States and Canada who earned this award. Click here to learn more.